One of the most important things a teacher can do for her young and inexperienced students is to teach them how to take a lesson. Especially if you teach beginners as I do, you know that sooner or later your students will leave you and go to other teachers for more advanced work. Or they might enroll in a conservatory, or go to college and major in music. In any case it is highly unlikely that your students will stay with you from the first bow stroke to their audition with the New York Phil; therefore we have to prepare them to take lessons from high-powered and maybe not as tolerant or understanding pedagogues as ourselves. So here is a list of important principles of lesson etiquette that I try to instill into my students over our years together to make sure they make a smooth transition from me to anyone else. Be on time. Get to your lesson early and have your violin and music ready. Important teachers take their work very seriously and don’t like to waste time. Yes, they’re getting paid anyway even if you dawdle, but this behavior annoys them as it shows lack of respect for the lesson and thus for the teacher. Do not play or start to play while the teacher is talking. She is trying to tell you something you probably don’t know and will get really irritated if she can’t say it or may just give up, which means you will have missed out on something important. Do not argue or talk back. A violinist friend told me the following story which shows what can happen when you do this: he once heard a “smart-aleck” student say to his teacher, “But that that’s not what my other teacher told me.” The result? The student was told to go back to his other teacher. Do not defend yourself or make excuses. There is no need – you are not under attack. The teacher is correcting what you did, not accusing you of a crime. Just take the instruction and do what the teacher says without explaining why you made the mistake, unless it’s REALLY pertinent, or saying that the error in question was unintentional. She doesn’t care why you think you did it (unless she asks you) or that it was accidental – it simply isn’t important. What’s important is to correct the mistake. Any protests or justifications on your part only wastes the teacher’s time and tries her patience. DO NOT CONTRADICT THE TEACHER. I put this in caps because I can’t emphasize it enough. If the teacher points out a mistake, or says you played the wrong note, even if you are in the right, KEEP QUIET. Don’t say, “No, I didn’t do that,” or just plain, “No.” This can really infuriate her. I heard a teacher in the conservatory here in Perugia tell a student once (quite forcefully) that a student has to say the teacher is right even when she isn’t. A rather profound thought that, when you think of it. You are there to take a lesson, to be filled with knowledge and this can’t happen if you put up interference by arguing or contradicting your teacher. It wastes time and energy – the teacher’s above all. Remember you are there to learn something, not show off. Once I corrected a 12 year-old student on something which she immediately played again perfectly without saying a word or even looking at me askance. I then realized that she had been right the first time and I myself had made the mistake. I congratulated her on this since it meant she understood what the lesson was all about. She didn’t waste a second of our time and energy discussing my correction. Personally, I may not mind if a student calls into question a correction, but other teachers do, so my students have to be prepared for that possibility. This does not mean you cannot say, however, “Oh, I’m sorry, I really thought that was an F sharp,” which gives your teacher a chance to see if she really was right. However, know that in 99.999% of cases the teacher IS right anyway so even this, although not offensive, is a waste of valuable time. Do not take criticism personally. This is a tough one. A mistake is a mistake and is only a mistake and your teacher’s correction must not be taken as a personal criticism. Your teacher is trying to correct what you do, not what or who you are. She is trying to help you play better. It can take time to learn to accept correction without taking it as a condemnation of you as a person, but learn it you must or you risk your teacher’s exasperation, which can have serious consequences, when you glower or cry because your feelings are hurt. The Best Things in Life Are Free? Really?? In conversations with my teaching colleagues from various countries, both in person and on the internet, the subject of free trial lessons sometimes comes up. When my advice is solicited about whether free introductory lessons should be offered, I have a very succinct answer: NO. Okay, there may be extenuating circumstances so I may vary my answer to: DON’T. To anyone who is already offering free introductory lessons, my advice will change to: STOP, and if I’m feeling particularly verbose, I may attach one other word: NOW. In short, I cannot think of any circumstance in which offering free introductory lessons is a good idea. To convince people of the importance of music education you have to believe in it yourself and must never appear to underestimate the importance of what you do. Your giving free introductory lessons can make people think that you are desperate to get students and have little faith in the value of your work, thus creating a buyer’s market. What happens then? Bargaining When you give away the upper hand, certain unscrupulous parents will try to set conditions and financial arrangements that are unacceptable. If you give in because you are truly desperate or you REALLY want to teach that particular student, you are setting a dangerous precedent. Whoever gets a bargain tends to brag about it and your entire price structure could be compromised. (I am not referring to discounts you might want to give for a second and third child in the family or for cases of hardship.) There are people who can well afford your services but who bargain as a matter of principle if you make them think that you need them more than they need you. Certainly you will be in for trouble sooner or later – if nothing else, your teaching will be considered just another commodity instead of the really important profession it is and they won’t treat either you or your work with the respect it deserves. Also, parents will think that everything you do is for your own best interests, not those of their children – after all, you have demonstrated your need to get and keep students, haven’t you? Let’s say you decide to offer trial lessons anyway. Before you do, ask yourself how much can a student and his parents find out in free introductory lessons? How much he likes the instrument? 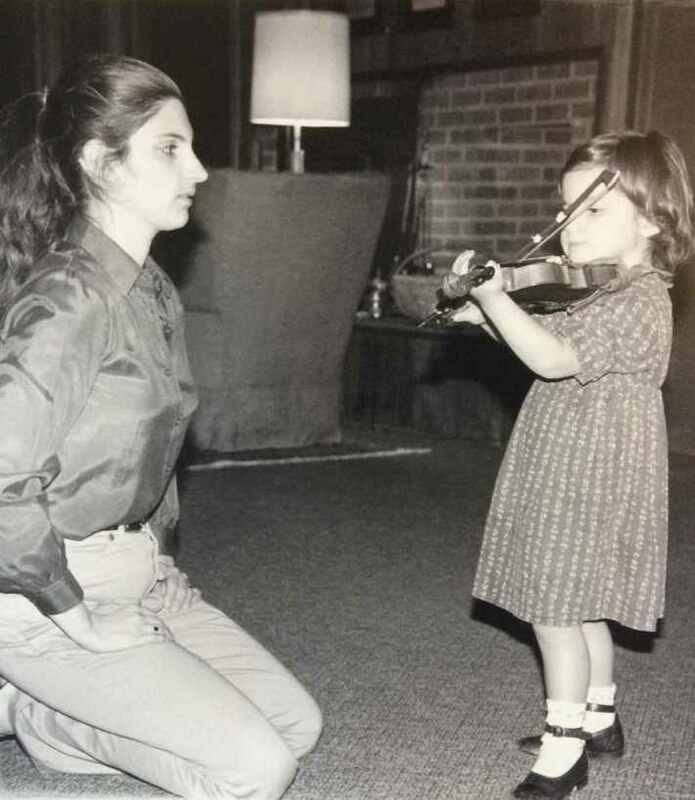 If nothing else he may get discouraged – you risk that he will discover how difficult the instrument (the violin in particular) is and decide not to continue – after all, his parents haven’t invested anything. Do you think that in one free lesson you are going to charm the socks off your perspective student and his family so they will decide you are just such a marvelous person that they can’t live without you? Even if this happens, it’s not a good foundation for a teacher/student relationship. Let’s be honest: your student is not really going to have fun playing music for quite some time and free lessons may just drive that point home all too well – to your (and really the student’s) detriment.